The Tuscan landscape is known for its rolling countryside, dotted with hilltop villages and covered by a picturesque patchwork of thick oak woods, tidy vineyards, and rich farmland. Lesser known is the region's archipelago, a chain of seven islands including Giglio, Capraia, Montecristo, Pianosa, Giannutri, Gorgona, and Elba located just off the coast that are part of the Tuscan Archipelago National Park. Beloved for their pristine flora and crystalline waters, these beautiful islands are said to have divine origins: when the goddess Venus emerged from the sea, her necklace broke and seven pearls fell into the water, from which sprang these legendary islands. The Tuscan Archipelago was Italy's first major marine park and is the largest protected marine area in Europe. Though largely unknown to international tourists, these islands are a popular destination for Italians during the summer months who flock to the immaculate beaches, tiny resort towns, and excellent dive sites. To visit the islands, there is ferry service from the Tuscan coast or the main island of Elba, or you can book a private speedboat to island hop at your own pace. 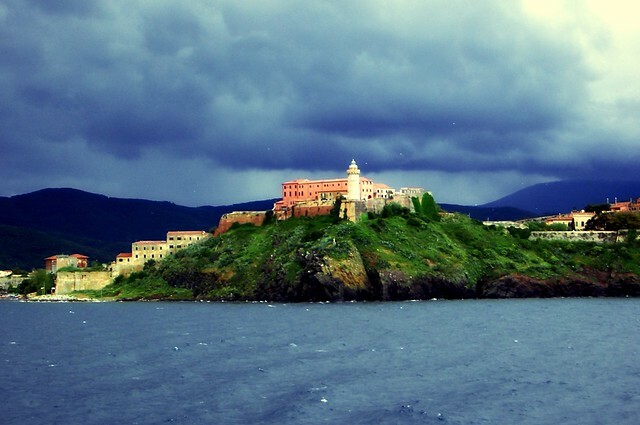 Elba is the largest and most famous of the Tuscan islands, and was where Napoleon spent 9 months in exile in 1814. Italians crowd the island in July and August, filling its dozens of beaches with sun worshippers who are attracted by the beautiful views and temperate climate. In addition to its beaches, Elba is known for its panoramic hiking trails and dramatic coastline of tiny coves and bays, perfect for exploring by small boat. You can shop the island's cashmere boutiques, pick up a bottle of Acqua dell'Elba perfume, and take the cable car up to Monte Capanne for a view over the other islands in the Tuscan archipelago and as far as Corsica. The island has daily ferry service from the mainland (primarily Piombino), and the crossing takes about 60 minutes. The second largest island, Giglio, is less famous than Elba, but has equally lovely beaches, hiking trails, and coastal villages. This island is best known for its excellent diving and snorkeling, and there are specialty shops at the port that rent equipment and offer group or private diving tours. 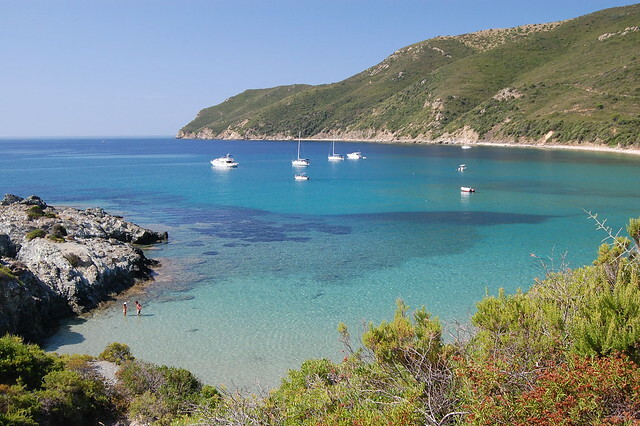 The best beaches, however, are on the opposite side of the island in Campese near the 18th century tower built by Cosimo de Medici or in the coves along Punta Capel Rosso, accessible by private boat. 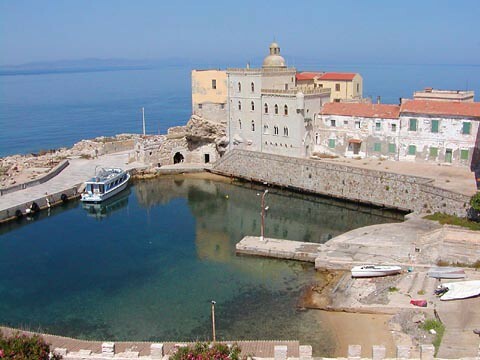 Explore medieval Giglio Castello, sample the local specialty, *panficato*, and watch the sun set with a glass of Ansonaco wine. There is daily ferry service from Elba or from Porto Santo Stefano on the mainland. 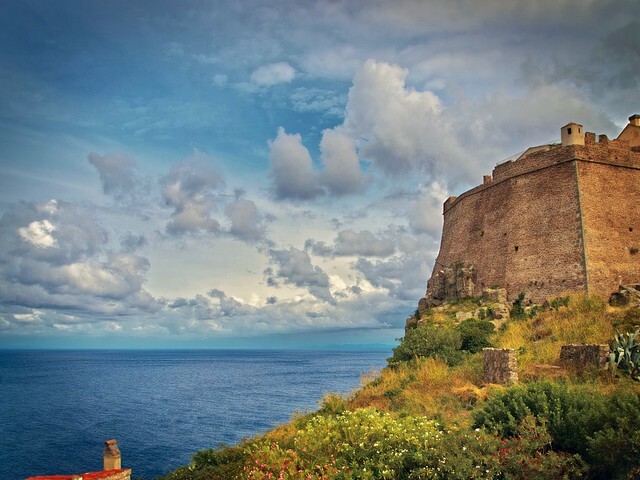 Perhaps the most authentic of the islands, this tiny outpost of less than 400 inhabitants has survived the rule of Greece, Genoa, Sardinia, Saracen pirates, and Napoleon over the millennia, but its coastal cliffs, hidden beaches, and wild countryside have remained relatively untouched by invaders and tourists alike. A favorite for hikers and bikers, the island also offers crystalline waters perfect for snorkelers or scuba divers attracted by the colorful marine life and underwater archaeological sites. 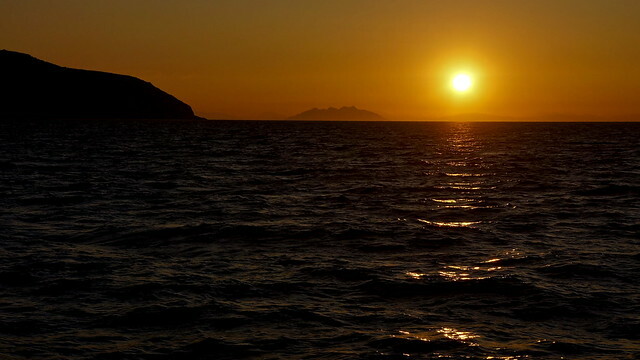 With virtually no roads on the island, Capraia is best explored by sea. There is daily ferry service from Livorno and Gorgona. Montecristo, the setting of Alexander Dumas’ *The Count of Monte Cristo,* **is the most remote and untouched island in the Tuscan archipelago. Home only to a secluded monastic order for centuries, the island became a natural reserve in 1971 and is now open only to a limited number of visitors who are granted a special permit in an attempt to protect the island’s fragile ecosystem. The waiting list for a permit to visit the island is at least two years long, so it's better to take the lift to the summit of Mount Capanne on Elba and admire this beautiful spot from afar. 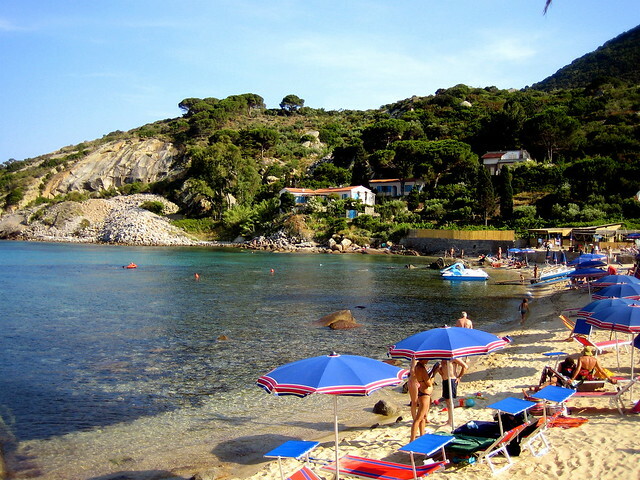 Pianosa is the lowest island in the Tuscan archipelago, and second only to Montecristo in seclusion. 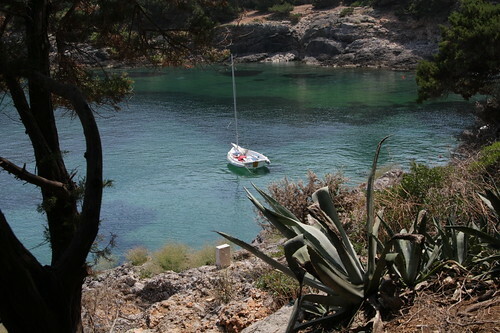 Used as a penal colony and later prison from 1858 to 1998, the island is now open to just 250 visitors a day who can enjoy the beautiful Cala Giovanna beach, snorkel along the immaculate coast, or take guided hiking or biking tours across the island in absolute peace. It is relatively easy to get a permit to visit by contacting the National Park, so if you are interested in exploring Tuscany's pristine island ecosystem, Pianosa is a more accessible option than Montecristo. There is daily ferry service from Elba. Like Pianosa, Gorgona at the northernmost tip of the archipelago was used as a penal colony before becoming a nature reserve, but unlike Pianosa, Gorgona is still home to a large prison so daily visits are limited to a small number of people who must be vetted at least 10 days before their excursion and accompanied by a guide. There are about 300 residents who live on Gorgona all year round, but visitors get just a few hours to enjoy the craggy coastline with its beautiful coves, immaculate water, and hidden beaches while on a guided tour that includes a hike, picnic lunch, swim, and boat trip around the entire island. Visits must be booked through the Livorno Tourist Office. 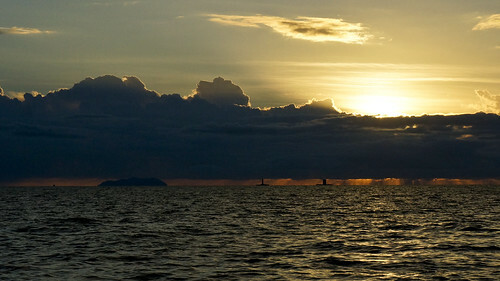 Gorgona is the furthest island to the north, and Giannutri is the furthest to the south. This favorite spot for scuba diving and kayaking has a rocky coastline with few beaches but a number of underwater shipwrecks and sea grottoes to explore. Inland, there are Roman ruins from the 1st century AD, including the imperial residence, a Roman temple, and the remains of the original Roman port. Like Pianosa, you must get a daily permit to visit by contacting the National Park. There is daily ferry service from Porto Santo Stefano and Giglio.